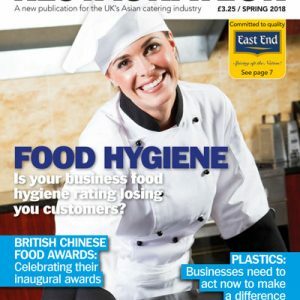 Order your FREE copy of Asian Restaurateur Magazine – Issue 1 today! The first issue of Asian Restaurateur promises diverse content, both useful and implementable. Containing interviews with chefs with tips for your business, there are also features providing information on legislation that will affect staffing decisions and exploring many issues the industry is presently facing, such as the staffing crises, health and hygiene rating, training and so much more. The first issue also includes, recipes, competitions and offers which are aimed to save you money!